I know that there are alot of chiefs out there wondering if they are still in the running for the 2012 AFG Grant Cycle. The answer to that is YES. If you have not heard anything as of yet, just hang in there, more rounds are still yet to be released. Thanks to Sandy slamming into the East Coast, FEMA has been overwhelmed for the past two (2) months. Do not be discouraged though, according to AFG, they are a bit behind but are still trying to get back on track. Another aspect that I believe has slowed down the process is the registration at SAM.gov. A little reminder, if you have not either registered for a Cage No. at SAM.gov or have not migrated your current CCR Cage No. to the SAM.gov site then you will be notified before awarded. This will delay the process because according to them, you must be registered at the SAM.gov website before you are awarded. This Cage No. will be required just like a DUNS No. and a TAX ID and FDID number so please register, you will need it eventually. ALSO, this is a registration that must be renewed each year on the anniversary of its creation. So please make sure you renew your Cage No. with SAM every year. If you have any questions regarding the SAM.gov site, please contact Didi at (248) 252-6250. Happy New Year!- Welcome Donna and Amy! Gatchell Grant Resources, LLC has been busy trying to recruit able bodied individuals to take on the grueling task of grant writers and that are just as dedicated as Vera and Didi. This is not a job for everyone as many people will tell you. We are proud to say the we have welcomed two (2) new members of our team, Donna Riggs and Amy McKinney. Although new to this team, they have shown their dedication to this company and we welcome them! We hope that this year will bring our clients great success with our help. We are currently training our new members and have been training them; Donna Riggs for over (1) one year now and Amy McKinney for the last (6) months. As in all fields of service, training is a continuing process and we will continue to train them until they are proficient in helping our clients. With that being said, rest assured that all grants written by these new members will be reviewed by either Vera or Didi before being subbmitted for accuracy. So when you have the chance, please take the time to welcome our newest members, their contact info has been added to our Contact Us Page. The Staff here at Gatchell Grant Resources value our clients and take our job seriously. This is why we took great initiative to get to the bottom of the 2011 Denial Letters that were sent out a few weeks ago. We took the “bull by the horns” and spoke directly with a trusted representative from FEMA and disclosed some discrepencies that we feel were reasons as to why some of the grants were denied. I was assured by this agent that they were not aware of this dilemna and would look into it. They have kept to their word. Today, we received a phone call from this representive and were updated as to the status. This person went so far as to hold a teleconference with the supervisor as well as the director and also reviewed the computer scoring techniques that were utilized to make sure that the application was not faulty. Good News….There ware no technical errors to the application…..More Good News….We were informed that the grants that we HAD written, were good grants. They were filled out correctly and written well but due to the lack of funding and criteria could not be funded for the 2011 fiscal year. This was in large part due to the lack of funds and had nothing to do with any training requirements or regional grants, it was strictly lack of funding. Ok, now the Bad News…There is nothing more we can do but to re-evaluate our applications, review the guidlines and decide whether the application should be resubmitted again for 2012. Again, due to lack of funding and large amounts of applications with older equipment and vehicles, applications that did not fair in the top 10% of the scoring unfortunately were denied. We hope that this information was helpful in understanding what happened. The Staff and Gatchell Grant Resources again humbley thanks our dedicated clients for their continued trust and belief in our company. We strive to provide the best possible services to our clients. 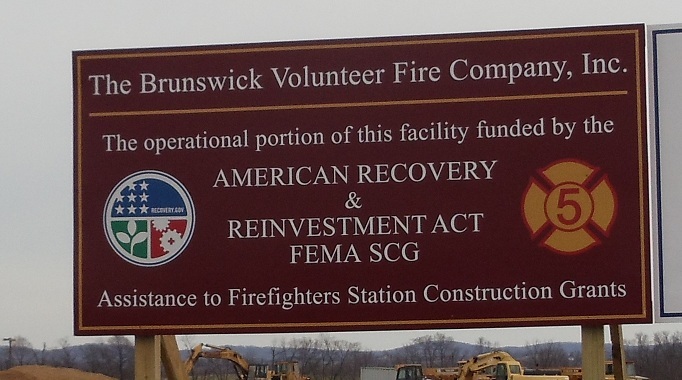 AFG SAFER Grant opens Monday January 30, 2012……..
AFG Assistance to Firefighters Grant - OPENS MONDAY!!! Finally, the madness will be starting. The AFG Assistance to Firfighters Grant Period opens August 15, 2011 and will close September 9, 2011. It is a short time period this year so be prepared. There is approximately 11 days less than last year for the application period so get a move on. It will be fast and furious so DO NOT wait till the last minute. Also FYI, major change in the application format so check it out ASAP when it opens on Monday so you do not get surprised. This year there is approximately $400 Million in funding for the AFG. Good luck to all who will be applying this year. April 3, 2011 was the ground breaking ceremony for the Brunswick Volunteer Fire Department in the preparation of the start of the building of thier new fire station thanks to the AFG-SCG Grant that was awarded to them in June of 2010 for approximately $2,400,000. A delicious banquet was held afterwards in recognition of all the individuals who played a part in this construction grant. The volunteers wanted to thank everyone for this once in a lifetime opportunity. 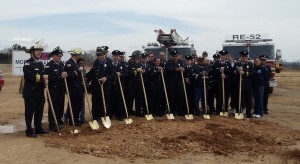 The foundations is set to start being laid and the construction process to begin on April 19, 2011. Congratulations to the Brunswick Volunteer Fire Department of Brunswick Maryland and good luck in the construction process. Fairview Volunteer Fire Department was awarded $26,923 for Opeation and Safety to purchase all new communications equipment for their department. This was very much needed to replace thier old and obsolete equipment that they currently have. South Amherst Fire Department receives their third grant in two years and their second grant this year for a vehicle acquisition in the amount of $$275,000. Kidron Volunteer Fire Department received thier third grant in 2 years in the amount of $24,271 for operations and safety. Congratulations on your award. Old Fort Volunteer Fire Department received an award for operations and safety in the amount of $68,680 to replace old and obsolete equipment. Great job Old Fort. Lawrence Township Fire Department was awarded their first grant in several years in the amount of $57,864 to replace old equipment through the operations and safety portion. Congratulations Lawrence Township. Indian Joint Fire District receives its second grant in two years under operations and safety for much needed equipment for thier fire department. Huntsville Fire Department received their very much needed and deserved third grant in the past four years under the operations and safety category in the amount of $43,859. Congratulations Hunstville on your very deserved award. Green Camp Volunteer Fire Department received their first grain si years under the category of operations and safety in the amount of $56,358 to replace old and obsolete equipment. Gettysburg Rural Volunteer Fire Department receives their third grant in two years in the amount of $50,377 to add to thier operations and vehicle grant that they received in 2009 through the AFG Grant. Congratulations! Congratulations to all who have been awarded and good luck to those who have grants still out there. Interested in exciting and varied career? Must have experience and background in public safety services. Only hard workers who are serious need apply. More difficult than the previous years, the 2010 SAFER grant has opened today. Anyone interested in applying for this grant must get their ducks in a row because there are alot of changes from previous FY applications. Good Luck to all who will be applying this year under the 2010 SAFER Grant.